How to recognize a true Chesterfield sofa? 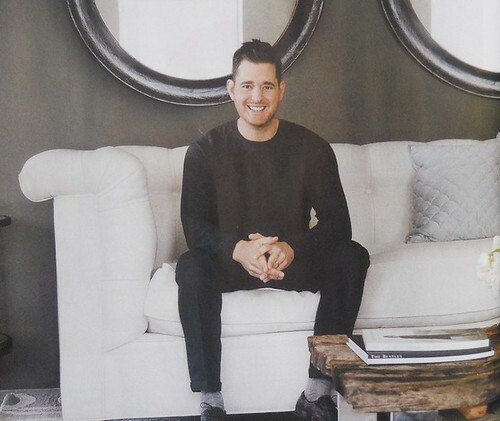 Modern sofas come in all different colors , sizes, designs and materials; the sleek modern sectional with dark grey fabric, a peppy red vinyl loveseat or a classy traditional genuine leather couch. And you’ve certainly come across the term “Chesterfield”. In fact my mother in law uses it all the time, for all kinds of furniture. But that’s another story…. Where does that distinctive name come from? Even though the term may be used more broadly in daily use, strictly speaking, there are certain well defined criteria that that make a Chesterfield. 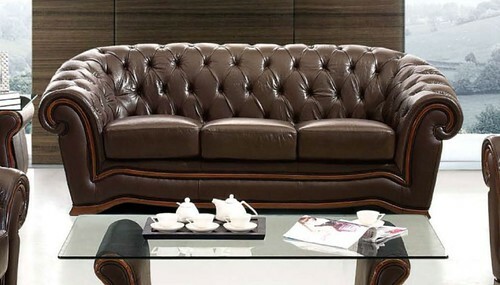 There are leather sofas, chairs, chaises and other furniture made in the classic Chesterfield style. As is common, the name originates from a person, in this case, the English Lord Philip Dormer Stanhope, 4th Earl of Chesterfield (1694 – 1773). In his old age, the Earl asked for production of a sofa that should be of high quality and express royal class. Based on the proverbial British stiffness, of course, it had to accommodate a comfortable, upright seating position. The quilted upholstery with buttons emerged as the main aspect of identification for this type of furniture. Top grade leather as well as a back rest at the same height as the armrests form a further point of distinction. Today, we see many adapted versions of the Chesterfield, some of them very close to the original, others a modern interpretation of the design. Most of them strive to maintain the same elegance that was attributed to that sofa of the 1700’s. Read more on Wikipedia. Beliani offers a contemporary version of the sofa. Browse our leather sofas.